UUANI powers the social justice work of congregations. 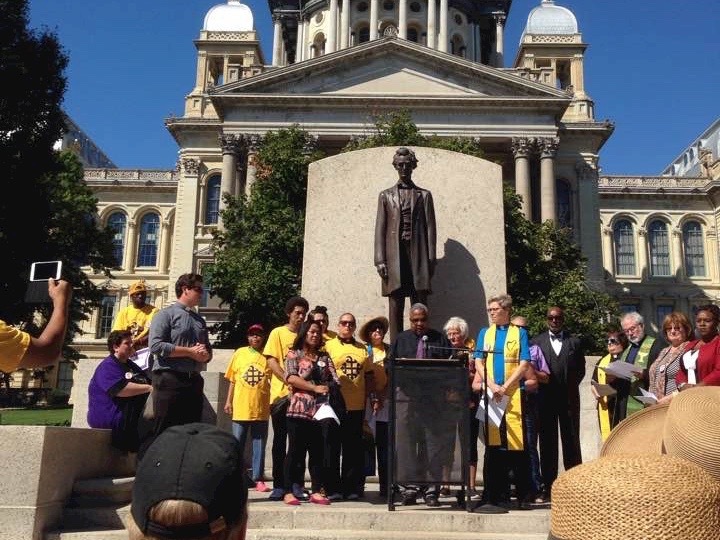 UUANI provides Unitarian Universalists across Illinois with advocacy and legislative leadership to effectively build community and power to promote justice and a healthy planet. We bring social justice into the heart of spiritual life of congregations and develop ways for church communities to live the UU principles. 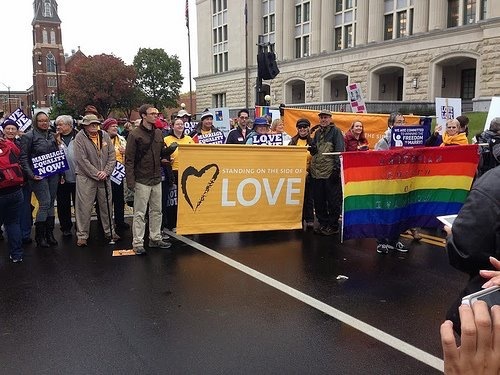 We help bridge communities and congregations and align spirituality with tangible actions to affect change. And a shout out! to Governor Pritzker, who signed into law HB531 (held over from last year), allowing criminal offenders who were imprisoned as youth to be considered for parole after serving 10 years. Sign up for Action of the Week E-mail! Our 2019 Campaign for Justice is in full swing with UUs around the state collecting petitions, meeting with legislators, and gearing up for the statewide Environmental Justice Advocacy Day in Springfield on May 9! The legislation we are actively working on is listed at the end of this newsletter. Petitions for Clean Energy Jobs: UUANI is asking every UU in the state - as well as our friends and neighbors – to sign this petition to stop climate change and support a just transition to a green economy. We’ve collected almost 500 petitions so far – with DuPage, North Shore and Unity Temple each signing up over a quarter of their membership, and Carbondale and Rockford collecting petitions beyond their congregation. You can collect these on paper or share by email or Facebook through the end of April. 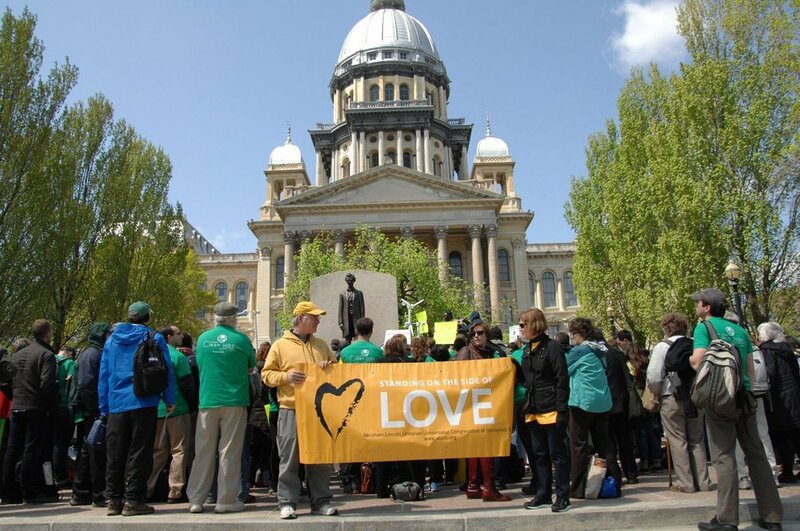 Turn them in to your congregational Green Sanctuary or Social Justice leader by May 1 and we’ll deliver them to your legislators in Springfield on May 9 (sign up HERE). 2. Meeting with legislators: 61 UUs from 18 congregations have met or signed up to meet with their legislators about Campaign for Justice legislation. We will be focusing these meetings on the top 2-4 issues of importance for each legislator. Sign up to participate in a meeting in your area in April. 3. May 9 Environmental Justice Advocacy Day: Join 100 UUs from all over the state along with hundreds of others to help pass the Clean Energy Jobs Act. Sign up for a bus from Bloomington, Carbondale, Champaign, Chicago/suburbs, Decatur, East St Louis, Mt Vernon, Peoria or Rockford. Sign up to come on your own here (just say yes or no on the first page) so you can get materials and updates. Please list UUANI as your organization so we can follow up with you. Thanks for all you do for justice, beloved community and healthy planet! Extends the current ban on private prisons for criminal custody to civil detention – including immigration. Ensures equal access to state financial aid for students currently ineligible for deferral aid (undocumented students, transgender students, those who have exhausted funding). Protects IL residents from ICE activity in public places and further limits collaboration between state or local law enforcement and ICE. Eliminates the $5 co-pay for medical or dental services in prison. Prevents unnecessary harm to children caused by separation by requiring a Family Impact Statement that provides community-based placements or sentences whenever possible. Creates a tax incentive for landlords to rent to people with records, making it easier for them to access and maintain stable housing. Allows lower tax rates for lower incomes and higher tax rates for higher incomes, reducing income inequality and providing adequate revenue in support of the common good. Jobs and economic development for disadvantaged communities; a million fossil fuel vehicles off the road; a carbon-free power sector by 2030, and 100% renewable energy by 2050. April 15-26: Meet with your legislators during their in-district spring break. Thursday, May 9: Environmental Advocacy Day in Springfield. In preparation sign our clean jobs petition to Governor Pritzker HERE and we’ll take it to Springfield with us! UUANI is supported by contributions from Unitarian Universalist individuals and congregations in Illinois, and by grants from the Fund for Unitarian Universalist Social Responsibility, the Unitarian Universalist Service Committee, the Chicago Area Unitarian Universalist Council, and the Illinois Environmental Council. We are grateful for each of these forms of support!